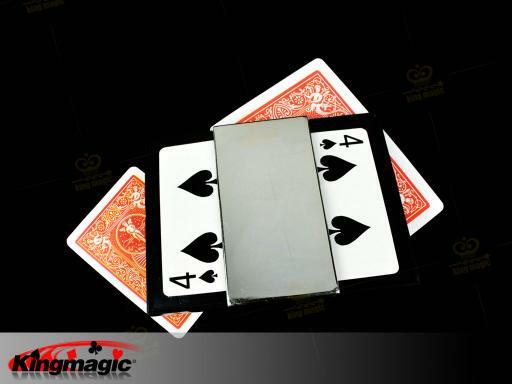 The magician shows a playing card laying in an open plastic frame. The audience can clearly see both ends of the card. A spectator is asked to cup his hands together. 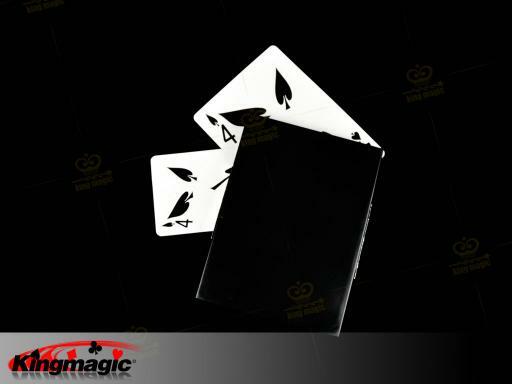 The magician then dumps the card out of the frame. 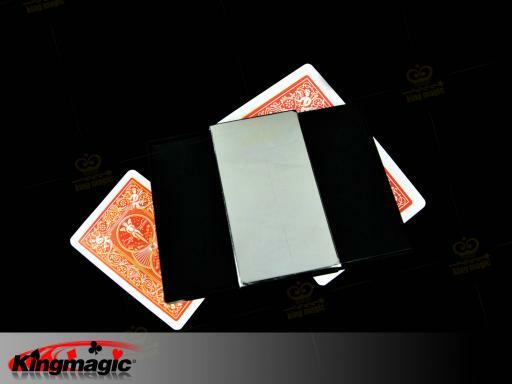 As the card falls into the spectator's waiting hands, it visibly and instantly changes into an entirely different card! Many variations are possible. 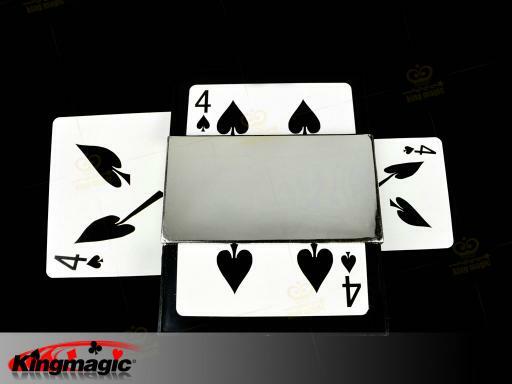 Special cards are provided that allow the pips of the card in the frame to visibly "melt" as it slides out of the frame. Very easy to do - simply drop the card from the frame and the magic happens. Complete with special frame, cards and instructions.